Cute card, Donna! 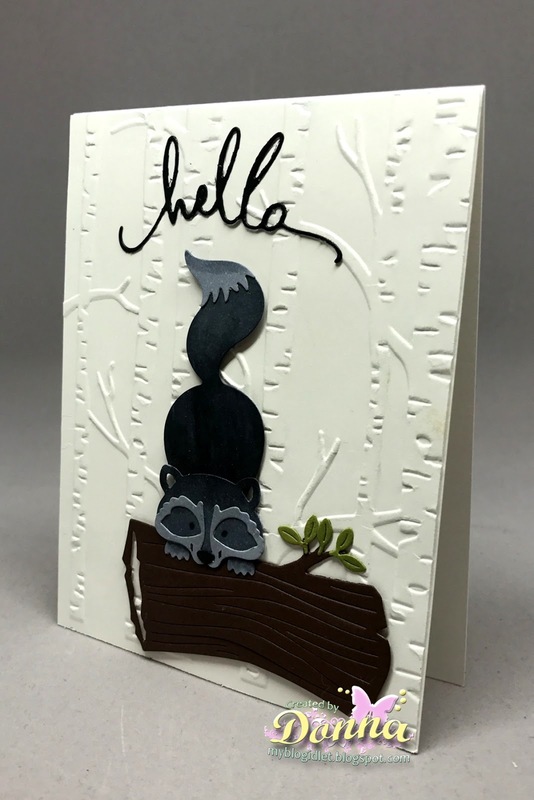 That raccoon is adorable, and I love the embossed background. Прелесть!!!! Влюбилась в эти ножи!!! !